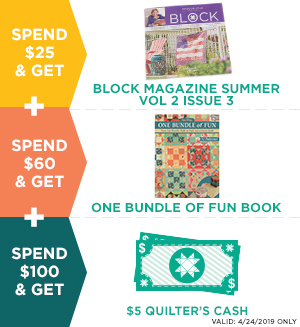 $50.00 Gift Card to Missouri Star Quilt Company - Missouri Star Quilt Co. - Missouri Star Quilt Co.
for Missouri Star Quilt Co.
Give the gift of quilting to someone you love! Missouri Star GIft cards are perfect for the quilter who has everything. They're easy to carry along with you wherever you go. It's like having a quilt shop in your pocket! Comes in increments of $25, $50, and $100 for customized gifting. Plus, when it's all used up, it makes an attractive ice scraper too! Please take a moment to review our Gift Card Terms and Conditions. Electronic Gift Cards are also available.